Breathe a sigh of relief, Furious fans. Furious 7 is just as good as you hoped it would be. At least, a majority of the world's critics thinks so. Furious 7, which just opened in theaters, was certified “Fresh” by film review aggregator Rotten Tomatoes. In order to receive the site's seal of freshness, a film must have at least 40 different reviews (including the 5 Top critics' reviews) with a positive score of 75% fresh. Fortunately, Furious 7 is comfortably beyond that mark with an 82% Fresh rating. The positive reception pairs nicely with the film’s box office receipts so far. 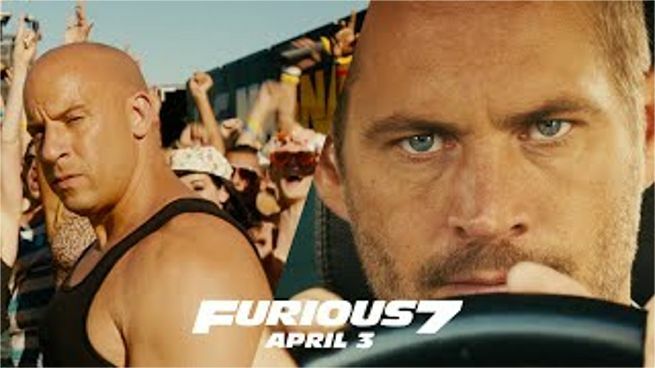 Furious 7 reaped $15.8 million during April 2nd’s late-night showing last night, beating out Captain America: The Winter Soldier's box office for a Thursday opening night in April. Continuing the global exploits in the unstoppable racing franchise, Vin Diesel, Paul Walker and Dwayne Johnson lead the returning cast of "Fast & Furious 7." James Wan directs this chapter of the hugely successful series that also welcomes back favorites Michelle Rodriguez, Jordana Brewster, Tyrese Gibson, Chris "Ludacris" Bridges, Elsa Pataky and Lucas Black. They are joined by international action stars new to the franchise including Jason Statham, Djimon Hounsou, Tony Jaa, Ronda Rousey and Kurt Russell. Neal H. Moritz, Vin Diesel and Michael Fottrell return to produce the film written by Chris Morgan. Furious 7 is in theaters everywhere now.